Nature lovers will be in their element as they explore the abundance of native animals, birds and flora found in the Coolamon Shire. From stunning landscapes to picturesque farming land, a tour of the Shire's natural attractions will have you imagining a life in this beautiful area. Take in a huge section of Coolamon Shire and view some of the natural wonders in the north- western region of the Shire. 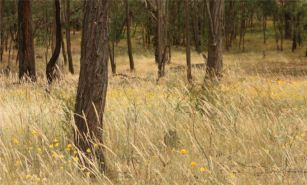 Get out of the car and bush walk through the Kindra State Forest, Yarranjerry State Forest or Ganmain State Forest. Stop and take your time to do the tranquil Murumbang Interpretive Walk at Ganmain. Admire the beauty of the patchwork of crops and pastures and the gentle rise and fall of the road as you become more deeply absorbed within the landscape. Spend some time appreciating the southern part of our Shire in and around Coolamon and Marrar. Take the road less travelled and along the way experience a quiet and reflective landscape steeped in years of agriculture and history. Take a cruise down a country lane and see the wonders of the changing seasons on the crops and pastures. Enjoy wide open roads and sheltered tracks and paths. End your journey in Coolamon with lunch or afternoon tea and enjoy the slower pace of country life. The main entrance to the 52 hectare Kindra State Forest is located on Lewis Street and is accessible by car. 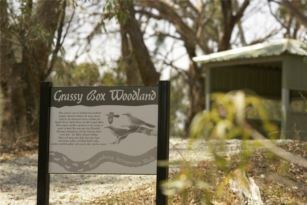 Follow the interpretive signage along the walking track, enjoy a picnic, and keep your eyes peeled for the hundreds of species of birds and wildlife that call the Forest home. Allow around 1-2 hours to complete the walk at a leisurely pace while stopping to read the interpretive signs. Located on Lake Street, the Murumbang Interpretive Nature Walk winds around the Ganmain Forest, railway dams, Boggy Creek and incorporates two bird hides, interpretive signage and an Interpretive Centre that provides picnic facilities. Look out for reptiles, amphibians and birds nesting in the wetland areas as you enjoy the serenity of this natural wonderland. Allow around one hour to complete the walk at a leisurely pace while stopping to read the interpretavie signs.